For the past several years, we've seen new vehicle sales soaring to record highs, despite record-high average selling prices. New car sales are slowing though, and the outcome for 2019 is still uncertain. One thing is certain, however: the number of off-lease vehicles is set to peak. In light of this, could 2019 be your dealership’s banner year for certified pre-owned sales? More cars than ever before – 4.3 million – are set to come off lease this year. For many Americans, these 2016 vehicles may represent the last of the cheap lease deals they’ve become accustomed to. According to an analysis from Edmunds, most of the people coming off a three-year lease are in for sticker shock on their next car. "Three years ago, leasing was an affordable option for almost anyone considering a new vehicle, but the market has made a pretty dramatic shift since then," said Jessica Caldwell, executive director of industry analysis for Edmunds. "... car shoppers who may have only ever leased are now going to be facing some tough decisions." Caldwell points to the sharp drop in demand for sedans, which has lowered residual values and made lease payments more expensive as one reason former lessees may no longer be able to afford leasing. Others include new vehicle prices hitting record highs and rising interest rates. 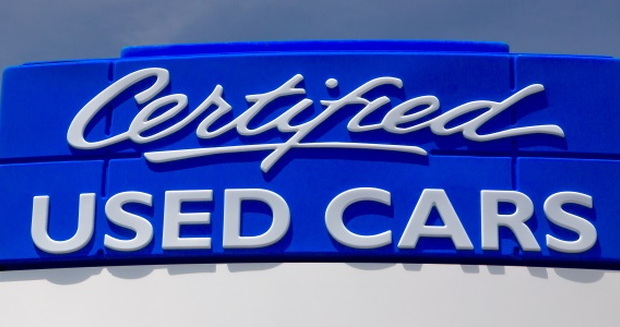 If your loyal customers are struggling with the cost of another lease, why not point them toward a certified pre-owned car instead? Certified pre-owned sales climbed to record highs in 2018, with 2.7 million units sold, and, according to Cox Automotive, 2019 could be another record year – they're predicting sales of 2.75 million units year. In fact, the overall used vehicle market is up, and CPO sales from strong off-lease cars are a big part of the equation. CPO vehicles are a great way for your customers to buy used. Since the cars are fairly new, they may have many in-demand features consumers are looking for, and with many consumers looking for an affordable payment, the low-interest deals many automakers offer on CPO vehicles are a clear benefit to drive sales. According to Motor Intelligence data, Toyota, Honda, Chevrolet, Ford, and Nissan made up 48 percent of the total CPO sales in 2018. If your customers are looking for dependability as well as affordability, some of these – Toyota and Chevrolet, in particular – are among the top players. Toyota ranked second in the J.D. Power 2019 US Vehicle Dependability Study with 108, only two points behind Lexus, which topped the study for the eighth consecutive year. Chevrolet came in a close third at 115. Rounding out the top five: Porsche (which tied for second), and Buick at 118. The J.D. Power study, which is now in its 30th year, ranks cars based on the number of problems that are experienced per 100 vehicles during the past 12 months by original owners of three-year-old cars. The 2019 study measured problems in model year 2016 vehicles. The study found that car dependability is continuing to improve, and is up four percent over 2018. Many of today's consumers rely on their own research when deciding which type of vehicle they want to buy, and this includes finding out what current customers have to say about their cars. Since most owners still love their three-year-old vehicles, this can help you sell the 2016 models that are coming off-lease. Taking advantage of the growing used car segment, especially CPO vehicles, can really boost your store's bottom line. But to do that, you need to focus on more than just your off-lease customers, and that's where Auto Credit Express comes in. We've been an industry leader in providing quality special finance leads for over 20 years, focusing on the subprime market. Now, through our partnership with CarsDirect Connect, we're proud to not only provide you with quality subprime leads, but new and used car leads, as well. Our leads are ready to buy, and, if you combine quality leads with our BDC call center services, you can get serious, prepared consumers coming through your door. So, if you're ready to sell more vehicles this year, it's time to give us a call! Find out more about our quality leads, BDC, or any of our other dealer products and services by simply giving us a call at 888-535-2277. Or, fill out our online contact form, and we'll reach out to you.